This is a well established, single owner, paperless accounting practice. The practice has grown steadily the past 3 years. 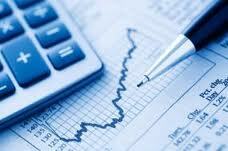 The business has over 225 individual and 14 regular business accounting clients. It specializes in payroll processing with over 20 clients using their turn-key payroll processing system. The owner will transition, as owner is retiring, but staying in area. *A financial planning practice seeking practice diversification and potential investment management clients. Income tax preparation for taxpayers is not likely to get easier and this practice’s payroll service can be a great marketing tool to expand the already profitable business client base. Practice services Madison, Marion, Delaware and Henry Counties in Central Indiana. Facilities: Leased and valued at approximately $1,200 per month, if needed. Equipment valued at over $11,000 included in practice sales price.